child(ren) and help them regain some of those moments. 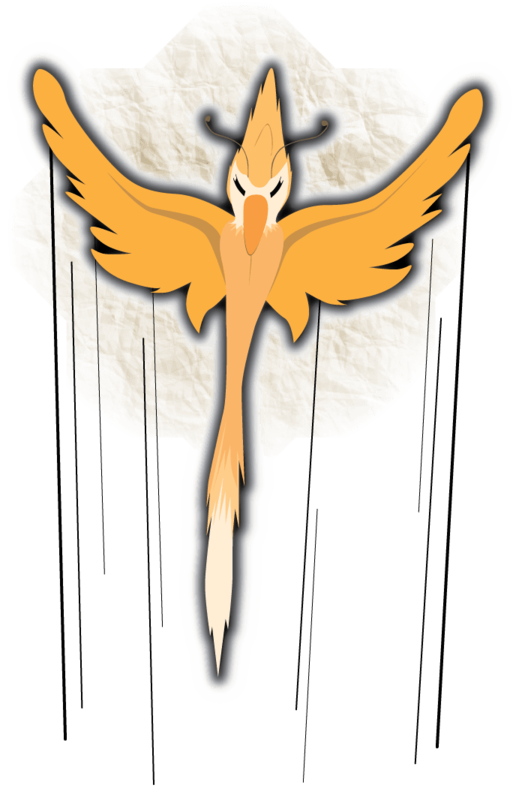 The Fleet Birds of the Shining Star, also called Fleet for short, do not have much contact with humans. However, they are very important to all magical creatures around your home. Without the Fleet all fantastic beings would cease to be in existence. The Fleet are birds that fly across the skies with little rest. Fleet birds feed on sunlight so they usually travel along with daylight. While these majestic birds nibble on sun rays streaming to the ground, the sunlight that sparkles off the body of the animal falls to the earth as magical sun dust. This magical element is the main component in keeping magic in existence in the world. It goes to reason then that if all the Fleet were to suddenly become ill and die – all magic creatures would literally disappear into nonexistence. From beak to tail these birds are commonly four feet in length and have a wing span that could reach anywhere from 6 to 10 feet in length. The Fleet have a jagged but aerodynamic appearance. However, if one were to stroke the feathers on the body of the bird, they would find that the feathers are quite soft and warm. The Fleet birds commonly live for about 10 years. The body of a Fleet bird is very bright or luminous. I would describe the brightness of their glow that of looking into a lamp without a shade on it. Fleet birds normally fly together in a flock. A flock is made up of anywhere from 75 to 150 birds. The flock stays together for life and no one is quite sure how the birds are able to tell each other a part enough to know if a strange Fleet is within their flock. The flock is obviously a family and the flock will protect and do what they can for their own. There is no way to tell the difference between male and female Fleet. The birds mate with one another for life and the females lay their eggs in the same area as the other females in their flock. The eggs are no bigger than the palm of an adult human hand and they resemble stones with various earthy red tones. A flock of Fleet will pause in their continual flight for a day to lay eggs before following the daylight once again. 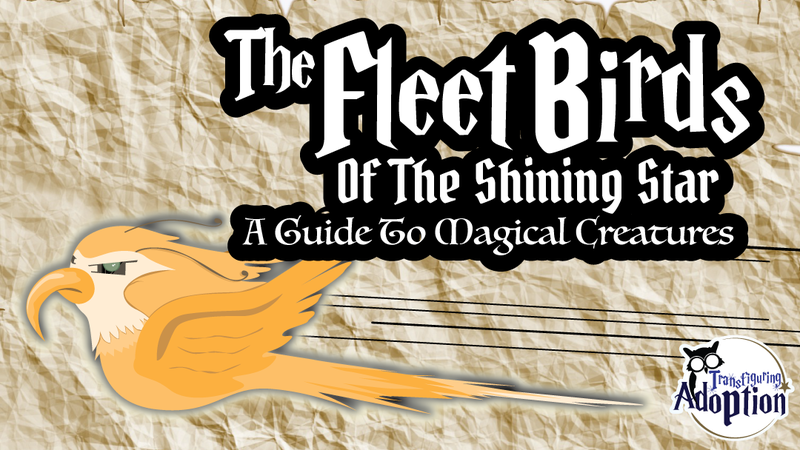 Fleet babies, Fleetlings, are ironically incubated by three full cycles of the moon. However, it’s the daylight after this third cycle that signals the Fleetling to break free of its shell prison. 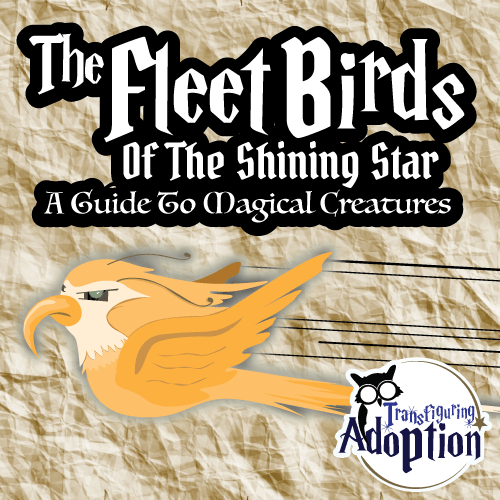 Fleetlings are born with transluscent feathers and white eyes. After hatching, all Fleetlings instinctively begin to feed on the daylight. The group is born together and forms a new flock of birds that will stick together for life. Fleetlings are ready to care for themselves instantly after hatching and are also ready for flight. However, Fleetlings usually feed on daylight for 24 hours before beginning their first flight. This allows their bodies to begin a dim glow and allows eggs late to hatching to break open. Fleetlings will attain their full luminosity after a week and maturation after 1 year. As mentioned above the Fleet Birds of the Shining Star unconsciously create magical sun dust which is the main component to keep magic in existence in the world. Again, without this dust all magical creatures would eventually disappear from the earth. As rays of sunlight sparkle off of a Fleet bird, it falls to the Earth as magic sun dust. Since Fleet feed on sun beams, their flocks are constantly in flight to keep up with daylight. Fleet may on occasion pause from their flight. Fleet may stay one night away from daylight. However, after 24 hours aways from daylight, a Fleet bird will become too weak to survive. Have you ever seen a shooting star in the sky? Sometimes it’s a shooting star and sometimes it’s a flock of Fleet that are traveling so fast at night that they leave a streak of light in the sky. This is a great activity to do with foster or adoptive kids so that they have a night light to put next to their bed. We pretend that the glitter is magic sun dust that comes from the Fleet birds. You can also pretend that the glowing stars are specially made to absorb sunlight just like the feathers on the body of the Fleet. The great part about the finished jar is that your child can control this item as opposed to maybe turning on all the lights in the middle of the night and awakening other people. I have also found that our kids tended to like having the responsibility of putting their jar in a sunny window to collect sunlight for the next bedtime.